Check out why we are Number One in the Low Country! We have had the opportunity to prove our capabilities on several of Savannah’s largest recent commercial projects. 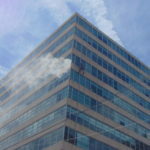 We have made window washing a major focal point in our ever-expanding company. Our goal is to provide exceptional service with as little intrusion to your business as possible. We have put a ton of research and effort into ensuring we provide the best product in Savannah and our customers will attest. We like to think that our Pressure Washing equipment and our extensive background of what products are needed on any given project provide us with a significant edge over our competition. From VCT tile to hardwood flooring, we know what it takes to extend the life of your floors and keep them looking beautiful. Find out why we are the number one commercial cleaning service in the low country! FaciliCare is a locally owned commercial cleaning business and an active member of the Building Service Contractors Association International (BSCAI). Our team of professional cleaners are thoroughly trained on the needs of each account they are responsible for, and we all take personal pride in delivering excellence to our customers day in and day out. Our reliability and performance standards are second to none, plus all our supervisors are 30 hour OSHA Safety certified. We take routine site visits and send routine emails to ensure that you are more than satisfied with our cleaning services. Residential Driveway Washing and Cleaning Using High Pressured Water. More Reasons to go with Facilicare! We are Savannah’s choice for professional, reliable commercial cleaning services. We hire only positive, service-oriented people to fill our cleaning positions. All FaciliCare Savannah cleaners are screened by background checks and are managed closely by the owner of the company. In addition, all of our staff members are bonded and insured. Genuinely interested in doing our best, for you! In addition, we strive to keep the lines of communication with our clients wide open. We take routine site visits and send routine emails to ensure that you are more than satisfied with our cleaning services. This allows our customers the opportunity to always tell us what you like, what we could improve upon, or any changes you would like to make in our services. Your feedback is always appreciated.